Logliine: A war veteran and his daughter, whose seemingly ideal off-grid existence is torn apart after authorities discover their whereabouts, struggle to continue in the normal world. Granik returns to the grim themes of her earlier features Down to the Bone and Winter’s Bone; poverty, displacement, psychological wounds, physical stress, survival of the fittest. With her new drama she and co-producer and co-screenwriter Anne Rosellinni have adapted the novel My Abandonment by Peter Rock and made a stunning and beautifully realised drama about the plight of a father-daughter relationship. 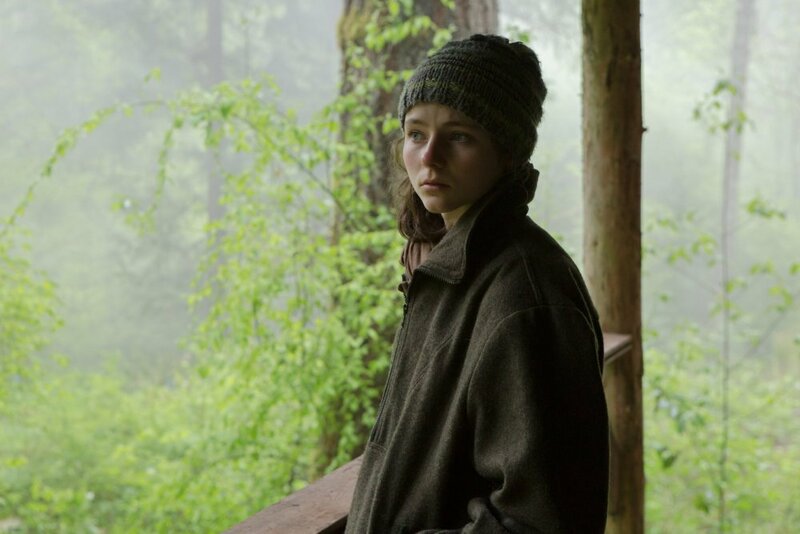 Tom (Thomasin Harcourt McKenzie) is a young teenager who loves her father, Will (Ben Foster), unconditionally, and has relied on his knowledge and teaching for as long as she can remember (her mother’s absence remains a mystery). Will is an Iraq war veteran who suffers from PTSD, and can’t cope with social interaction for any stretch of time. Together they have lived off-grid, roaming and camping from parkland to bushland, living hand-to-mouth, buying the bare essentials from nearby towns out of necessity, with money Will makes from selling his veterans’ issued painkillers to other less able vets. It is in a large Portland, Oregon park where Will and Tom’s current makeshift home is torn asunder, after Tom is accidentally spotted by a passing jogger, who alerts the police. Father and daughter are temporarily separated by social services who try and relocate them into a decent housing and work situation on a tree farm. Tom gets a pleasant taste of the social interaction she has been so deprived of, and this upsets the equilibrium between herself and her father. 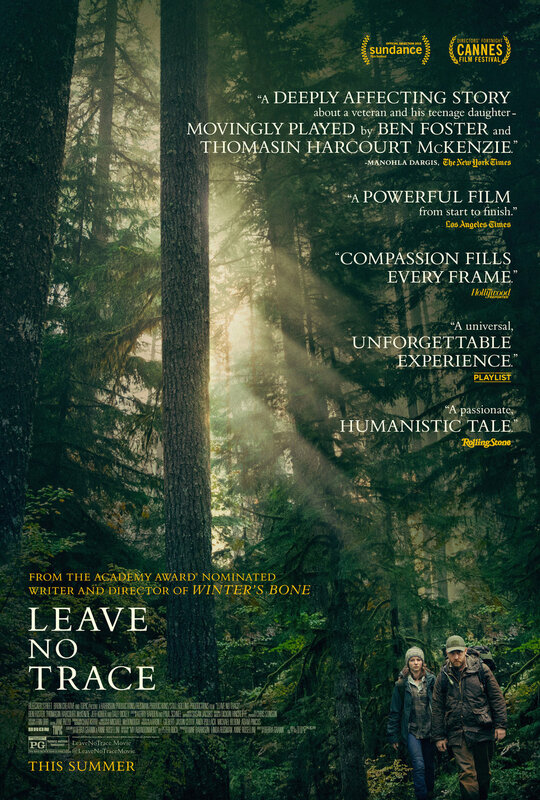 In much the same way Granik did for Winter’s Bone, Leave No Trace is a slow burn drama, with a quiet intensity that smoulders like a camp fire. Where the movie excels is in the naturalistic performances, and the gentle, perfectly nuanced pace and tone of the narrative - much of it dialogue-free. This is one of the most emotionally resonant stories I’ve seen on the big screen in quite awhile, and much of the movie’s power is drawn from the terrific performance of McKenzie. I can’t help but make a comparison to Granik’s earlier Winter’s Bone, and Jennifer Lawrence’s breakout role. Two very different actors, but both roles exude great subtlety and vulnerability. Michael McDonough’s gorgeous cinematography captures the forests with such tranquility and beauty, but it is the combination of many elements that have created such a satisfying movie. In this suffocating climate of neo-conservatism I found it intriguing that there is nothing vulgar or crude, nothing overtly violent or brutish (with the exception of the arrest and the destruction of the camps), nothing profane, nothing offensive in Leave No Trace, yet there is an ever-growing intensity of character, a darkening tone that spreads, shrouding any true happiness that Tom yearns for, that has been stolen from Will. 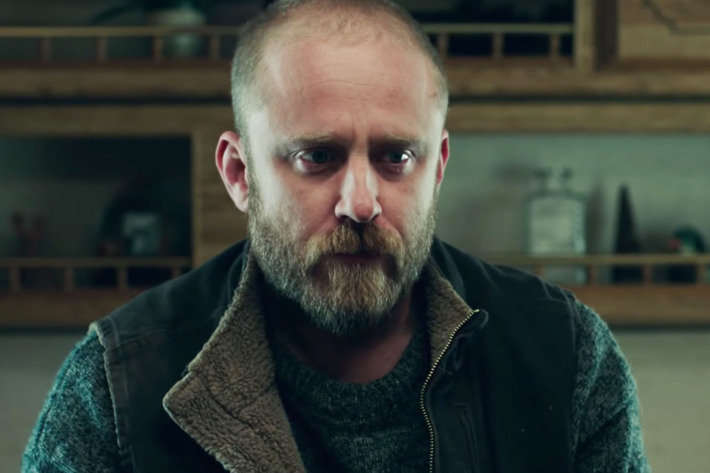 Leave No Trace is a mediative, reflective, and deeply affecting study of unhinged souls, a kind of al fresco chamber piece. Probably not everyone’s chipped enamel mug of black gumboot tea, but ultimately one of the most emotionally rewarding movies in years. Certainly amongst my very favourites of the year.